Life in those days was in many ways monotonous and uneventful. Our lovely, varied houses in the main streets were a drab grey, as few buildings were painted. Many were rented properties and to see a “For Sale” sign was rare indeed. Life was regulated by seasons and by the festivals of the church and chapels. Storms would bring slates from the roofs - quite dangerous to pedestrians. Money never seemed plentiful and often a roof would be grouted, a temporary remedy, which gave the owner a few years before re-slating became a necessity. Men who were employed to keep the streets clean and drains free of leaves in the winter, worked long hours in all weather, without any suitable clothing, a hessian sack draped over the shoulders was the best protection they had. My earliest memory of an event outside my home occurred when as a very small child I stood outside our house in St Lawrence Lane one dark night in winter and watched a procession of solemn, black clothed men march up the road. There was no band, but each participant bore a lighted torch, the rhythmic beat of their feet as they passed was the only sound, but the impression this event made remains with me today. My grandmother held my hand and except for us, the street was deserted. This occurred sometime before December 1924. My grandmother and my mother moved into our house in 1913 just prior to my parents' wedding. There was a good lavatory in the house and another at the bottom of the garden. My father was in the navy and as only home when he got leave. On the first occasion he was home he decided that there must be another room leading off the lavatory, so he removed the partition. To his amazement he found quite a large area which was actually built behind the house next door. But what intrigued him was the very large collection of wine and spirit bottles hidden there. "Sadly, all empty !" said my father. I grew up on stories about the town. How on Midsummer night in Hare's Lane three hares came out of a doorway, which is now blocked up, and ran into the meadow opposite. This was before the bypass had been dreamed of. As children we planned to stay awake and go and watch them, but never got there. Hare's Lane extended from Miss Tucker's house in East Street down to the junction with Whistley Hill, there was no Love Lane at that time. The River Yeo, now the Ashburn, ran down behind the North Street cottages, and planks were substitute bridges to cross to other little homes. The cooking facilities must have been very primitive as on a Sunday morning women could be seen carrying a baking tin containing the joint, surrounded by potatoes and covered with a clean white cloth. The bakers, whose ovens were coal fired, would cook the dinners for the princely sum of 2d! Parish Road was a lovely picture with chestnut trees on one side and beech on the other. It led down to Miss Hern's house. This house was demolished when the by-pass was widened. 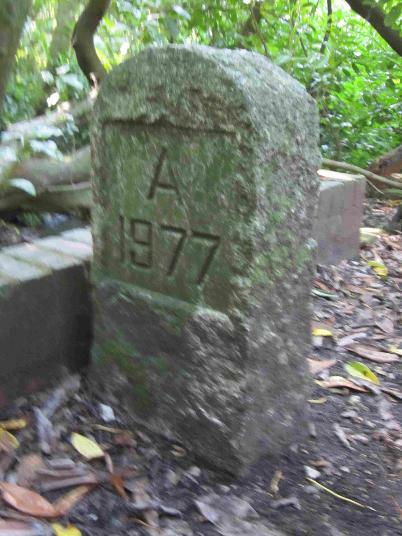 A stream came out of the garden and flowed across the road and this marked the end of the parish of Ashburton. When we were children we used to jump the stream saying "Now I'm in Staverton" and then jump back to shouts of "Now I'm in Ashburton". * It was so sad that the house was demolished. I used to go with my mother to order apples to store for the winter: in the beautiful garden we sat and talked to Miss Hern before being taken into the house for tea. I remember being shown the cider press. There was a large orchard at Chuley Hill where the cider apples grew. They were so beautiful but they did not tempt thieves who knew how they tasted. In Station Road, as it was known then, was not only Mrs Daw's grocery shop and the Post Office but the sweet shop kept by Miss Mann and her sister. Rows of jars of sweets lined the shelves - children bought a pennyworth. A pile of small squares of newspaper were placed discreetly behind the scales and then curled into a cornet shaped bag to receive the carefully selected sweets. My friend and I made our purchases on a Saturday morning after receiving our 3d pocket money. My penny allocated for sweets bought two sherbet fountains while my friend chose two everlasting bars. Having collected our dolls' prams from outside the shop we would proceed to the 'Rec' - there we sat ona seat and solemnly exchanged a sherbet fountain for an everlasting bar. Sucking the sherbet through the liquorice tube was bliss: then we made short shift of the chewy bars and promenaded round the lane like two little mothers. Miss Mann's shop was popular because of the big pear shaped glass container that contained cool drinks. A penny a glass, it was either green or red and when it was switched on it made a hissing noise and rose like a fountain in the globe. This garishly coloured drink was called 'Nantus' - we never questioned its flavour or properties, and again we felt like grown-ups, sitting chatting and enjoying our drinks. This we took into an area at the back of the shop which was partitioned off for farmers to use on Fair Days, when they ate their pasties and drank tea. Ice cream was not then available in local shops, but a horse drawn van came out from Newton Abbot. The man called Mr Hookway rang a bell and shouted 'Walley's Ice Cream', and children gathered, paying one penny for a small cornet and two pence for a wafer. Vanilla was the only flavour available but it was greatly anticipated and eaten with satisfaction. The chemist shop was a fascinating place, two large flagons of coloured liquid held pride of place on a shelf high up in the window. The green and red substances symbolized some strange mysterious cure-all: the chemist was the first port of call for a variety of ailments, and when these failed a visit to the doctor became necessary. Behind the counter were rows and rows of small drawers all bearing Latin names, increasing the myth that cure-alls were to be purchased here. Rows of proprietary medicine lined one shelf, awe inspiring and terrifying to small children. Senna pods and syrup of figs was a regular purchase and on Friday nights the family was lined up to be dosed by mum. the next morning an interrogation began - 'Have you been?' No miore words were necessary and many a fib was told to avoid a second dose of the dreaded liquid. Tubes of toothpaste had not yet reached the shops; Gibbs paste was sold in silver coloured tins: inside was a solid pink substance , advertised as preventative against tooth decay. A large poster showed a huge ferocious creature bearing a three pronged tool, appearing from craggy snow topped mountains - this was the demon Decay, who was out to attack children's teeth. A brush and Gibb's toothpaste were the weapons to fight the battle. The day began quite early, men often starting work at 7am. At 7.30am the housewives could usually be seen “doing the front” this consisted of sweeping the pavement, dusting the front door, and windowsills. Once a week the doorstep was scrubbed and the pavement given the “bucket and broom job”. Brass knockers and door handles were cleaned. A large number of doorsteps were granite and the pavements were of marble slabs from the local quarry. Many houses were slate hung, a decorative finish which helped the local economy. In the nineteenth century two hundred men in the district were employed at Penn Quarry near Landscove. Once the fronts were cleaned neighbours exchanged news or gossip. Life was dull and uneventful, especially when the only exchange was about the price of butter and eggs. This fluctuated each week according to the rate at Newton Market. On Saturday shops kept open until 8 pm and the centre of town was busy with people buying necessities to keep them going over the Sunday. Sunday was indeed a day of rest – most men worked untili midday on Saturday and the evening was busy. Mothers made last minute purchases for their offspring tobe suitably attired for the religious observances the following day, especially if it was a festival. It was a matter of pride for girls to have a white dress for Whit Sunday nad a new summer hat, usually purchased from Mr Cubitt's Emporium. Less affluent families belonged to a club, an agent calling once weekly to collect the dues. Others relied on the cast-off garments of more fortunate children, and begging notes were common. There were two boys in our home so our outgrown clothing was much in demand. One regular supplicant always ended her pleas with 'I know I am welcome if you have it'. There were compensations, hot summer days extended into long balmy evenings and autumn came with an abundance of beauty – whortleberries (erts) followed by mushrooms, blackberries and nuts. Sloes fell in the lanes, a carpet of intense blue to delight the eye. Sloe gin was a delicious drink to make and put away for Christmas. Cider apples appeared in abundance, their shiny colourful skins belying the fruity taste. Scrumping was fun for daring schoolboys, farmers often turning a blind eye to the perpetrators, others were more bellicose – a stick and a loud voice sent guilty boys scurrying away. Eating apples hung provocatively in orchards; old varieties like “Keswick Codling” and “Seek No Further”. Early on winter evenings the lamplighter would arrive with his ladder and light the street lamps. Houses were lit by gas too, or oil lamps, or candles before the advent of electricity. Mr Gibbs, the baker at Barnes spent his spare time in the run up to Christmas planning his mobile exhibit in the window, already displaying elaborately decorated cakes. Great interest was shown when the seasonal feature was revealed. A turntable with snowmen, skiers and other interesting figures rotated and delighted children as they gazed in fascination. Decorations and trees did not appear until Christmas Eve. Butchers’ shops displayed geese, ducks, game and fowls on rails festooned with holly. Turkeys were a rarer luxury. The band played carols and an air of anticipation hung over the town. Postmen became busy delivering letters and cards. An abiding memory for me was to see a handcart pulled by two postmen, delivering parcels when we emerged from church on Christmas morning. In those days before radios and television and all the other means of entertainment today, some people seldom heard any music at all. Children in schools had singing lessons limited to national songs. The infants learnt nursery rhymes. Church or chapel filled the gap with hymns, anthems and carols at Christmas and many homes boasted a piano. A favourite Sunday night activity would be to gather around the piano with friends and their children to enjoy singing favourite hymns. I remember being taken to the Vicarage, one of a group of Brownies, to hear Dame Nellie Melba sing on the ‘wireless’, probably the only one in town; we were in the drawing room, though the significances of this was lost on this group of little girls. Crystal sets were prized by a few men who were experimenting with this modern invention. Later wireless sets became available to those who could afford the price, a group of men gathered in our living room and listened intently to a commentary on a football match. The set comprised of a rectangular box with the controls on the sloping box top and a speaker, a square box with a decorative front in fret wood, a Philips receiver and a Celestion speaker. The set needed an accumulator which had to be charged regularly, so two were purchased, one in use and the other on charge. This cost one shilling at the local electrical shop. The accumulator was carefully carried home. It was quite heavy and had to be kept upright or the acid would spill. The wireless was a source of great delight to our family and we spent many hours sitting round the speaker listening to our favourite programmes. Many people were literate but unfortunates who had never had much schooling, or who were unable to benefit from the basic education which was the right of all, relied on teachers to read and explain official documents and letters. There were no social workers in those days so the respected professionals would gladly give this service, a voluntary act, greatly appreciated. There was no library in the town other than the small lending library in the newsagents. But on Monday evenings a classroom was transformed when two teachers gave their services voluntarily to provide books, which arrived in wooden boxes. The metal clasps of the boxes would be opened and the books arranged on the desks, spines uppermost. People came and selected two books of their choice. It was a very poor substitute for a library but at least it provided some more substantial reading matter for those interested. There was no bookshop in the town and the majority of townsfolk found buying books an unnecessary expense. The recreation ground was the site of a couple of swings, a see saw and a giant slide. They were at the far end of the field and older boys kicked a football about nearer the shelter. It never seemed to be used a great deal. 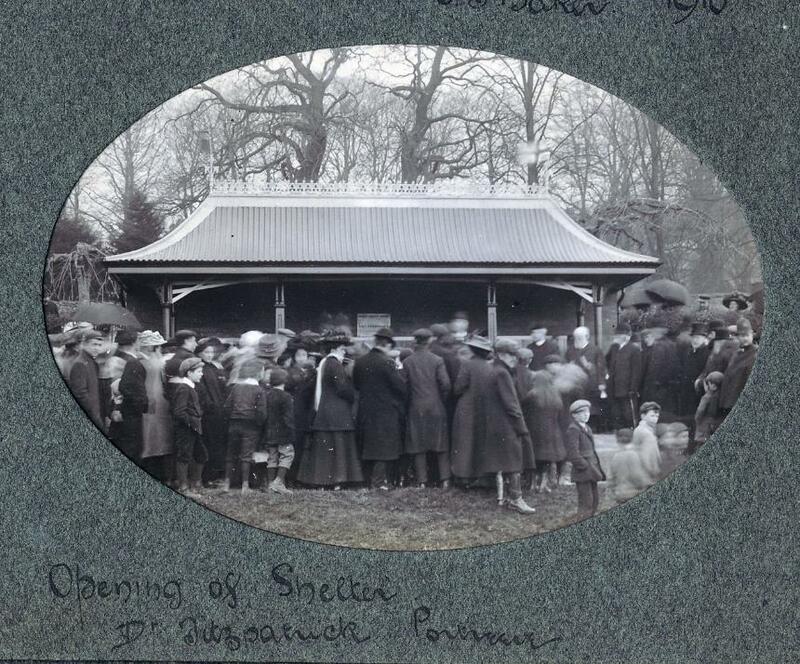 Fetes were held during the summer at the recreation ground, in the vicarage garden, or if wet in the Church Hall. These were fund-raising events, various stalls sold garments made or knitted by industrious women, who also made jam, coconut fudge and fancy cakes. There was usually a pound stall selling gifts of groceries and canned goods. In the winter there were school concerts, simple entertainments where proud parents could watch their offspring sing, dance, recite or take part in a play. Families were large and in such communities intermarriage was common, so many people were related to each other. Birth control and the pill were decades away, although some of the more progressive women possessed copies of Marie Stopes's publications. No wonder so many babies were born out of wedlock – a disgrace in those days. Consequently there were many unhappy boys and girls living with grandmothers (grannie reared) who were treated with contempt by their peers and often bullied by those who felt superior because they had two parents. Some properties were candle lit in winter. Families were brought up in these damp, dark little dwellings: no wonder the children emerged to go to school with bare, blue knees and legs and pinched faces, carrying a package of bread and jam for sustenance at playtime. Looking back, children seemed to have been well behaved and manners were important. Parents played a big part in enforcing standards on their offspring. Texts from the bible were frequently quoted “the eyes of the Lord are in every place,” “thou God seest all,” “spare the rod and spoil the child” being favourite warnings. This did not, however, prevent some boys from straying from the straight and narrow path, apprehended by the local police officer, who was an object of fear and great respect. The offenders ended up in the Magistrate’s Court which was held regularly in the Town Hall. Children played in the street. Ball games were popular with girls, where a ball would be thrown against a house wall and caught. Players were quite dexterous and threw up the ball, pivoted around and then caught it, or it was thrown around the back or under a leg. It could of course be a solitary pastime; verses were also chanted while the ball was being thrown, and these were accompanied by the appropriate actions. “I am a Girl Guide dressed in blue. These are the things I must do. Bow to the King curtsey to the Queen, and turn my back on the Kaiser.” Few of the participants had any idea who the Kaiser was, but the First World War was talked about continually by adults and the effects were still felt. All sorts of feats were undertaken with skipping ropes, either individually or with two girls holding a rope at either end and turning it for several players to perform various feats while skipping. Hopscotch was another favourite game; a chalk rectangle was marked on the ground and divided into nine squares. These were numbered and then each player had to kick an object from square to square. An Oxo tin weighted with small stones was the favourite missile. It was quite a feat to hop around kicking the tin and not changing feet. Who decreed when skipping was no longer in fashion no one ever seemed to know, but then, suddenly ropes would be discarded for balls, then hopscotch, but no one ever played ball in a hopscotch season. 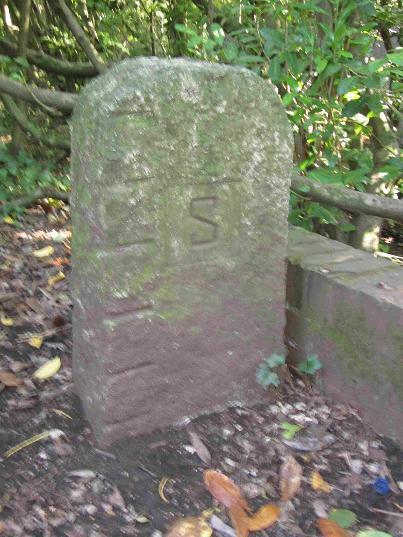 * Below and below right: Boundary stone not far from the stream which Hazel used to jump over to cross into Staverton. It is located on Bulliver's Walk.